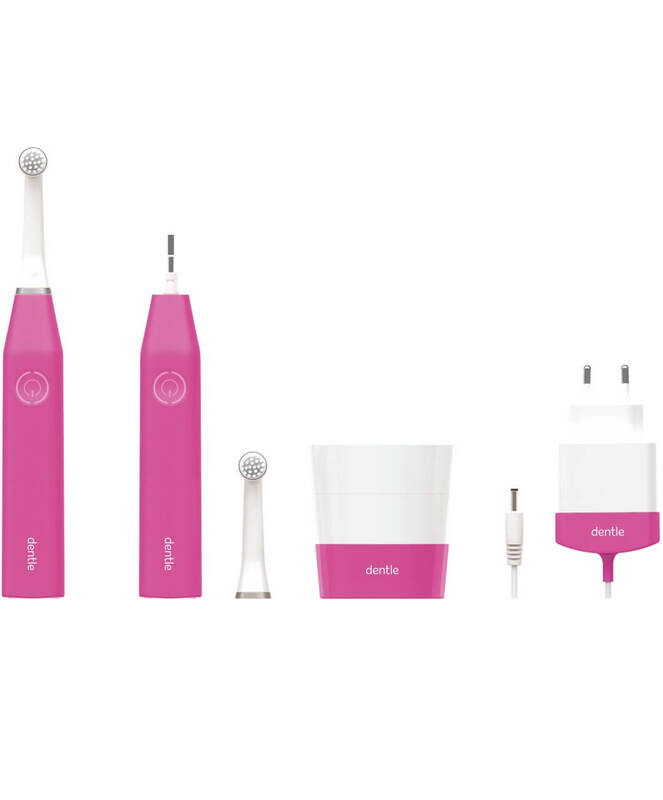 Dentle One is a gentle, effective electric toothbrush with easy-to-use functions. It has low noice level, modest weight and a practical grip that makes it extra convenient to brush your teeth with. 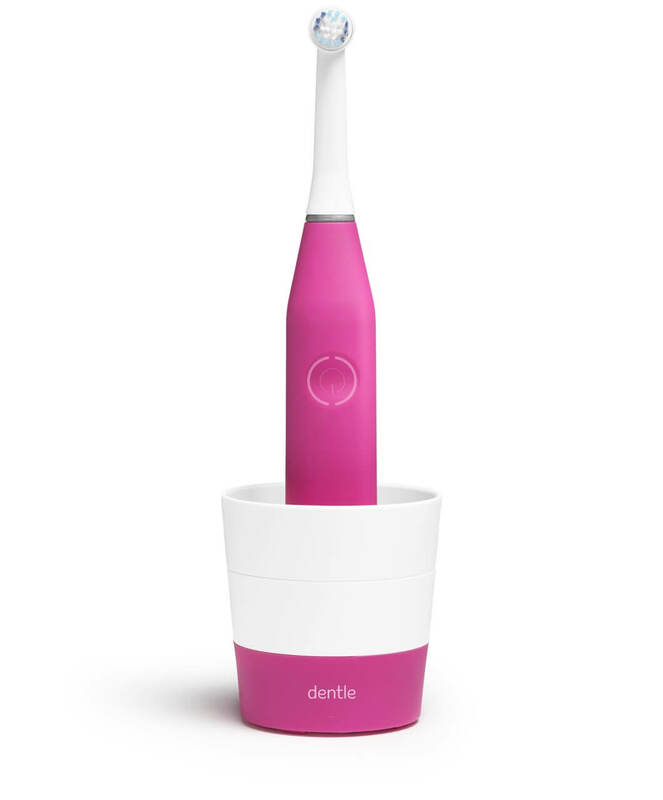 Dentle One is the Swedish Design electric toothbrush that stands out through its no-frills design combined with gentle, quiet and effective cleaning of your teeth. 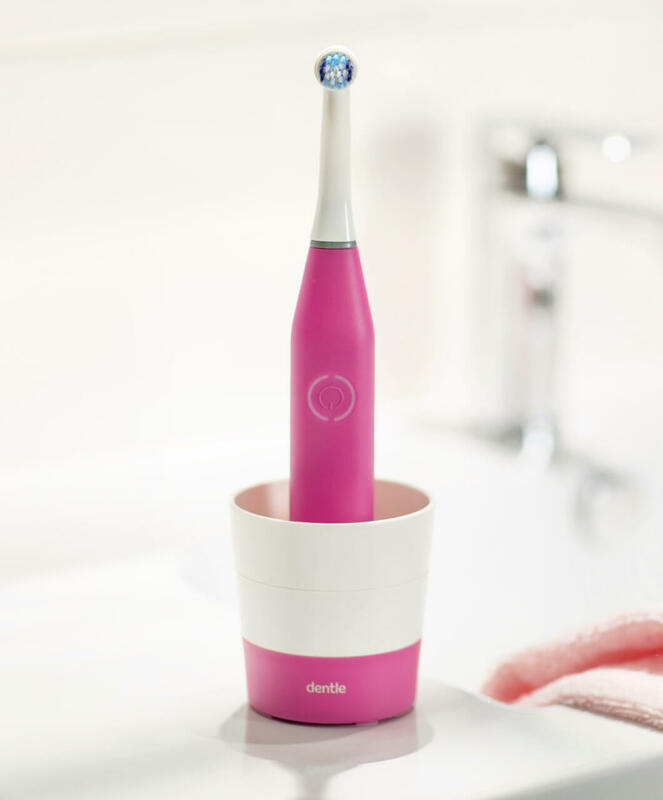 It is charged using a unique charging cup and features an ergonomic triangular handle made of grip-friendly, sound-insulating material so the toothbrush sits snugly in your hand or rests stably when you put it down. Dentle One has easy-to-use functions that make it simple for you to protect both teeth and gums. For example, it has a timer that lets you know when to move on to a new area of your mouth, and a gentle massage function to care for your gums. Three speeds: high (8,000 oscillations), low (7,000 oscillations) and massage (6,000–8,000 oscillations) for effective and gentle cleaning of every surface of every tooth. 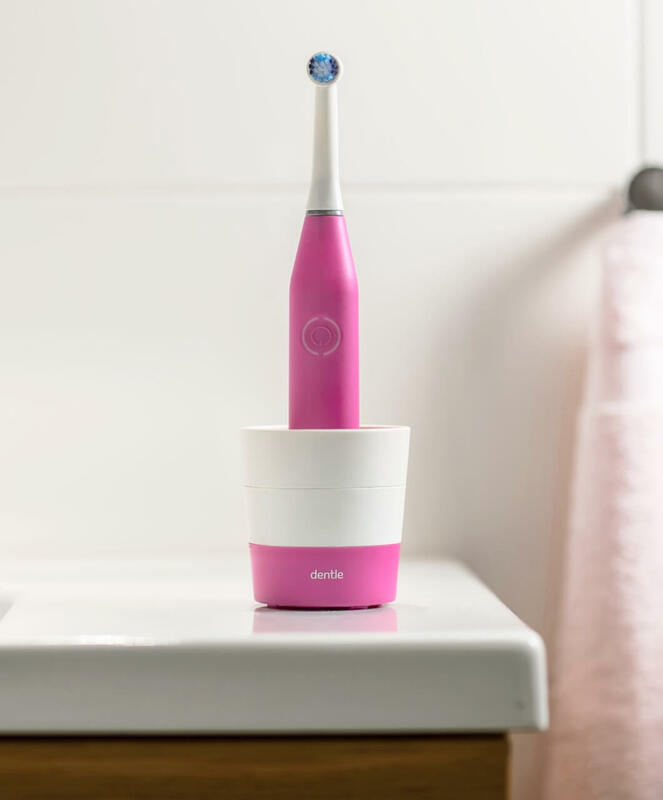 The timer function automatically switches off the toothbrush after two minutes and notifies you at 30, 60 and 90 seconds that it is time to brush in a new place – making dental hygiene simple. A fully charged battery lasts at least a week for two minutes’ brushing, twice a day. The on/off button lights red when the battery is running down, lights green when it is fully charged, and flashes when the battery is charging. Hög (8000 oscilleringar), låg (7000 oscilleringar), massage (6000–8000 oscilleringar).